Item # 315345 Stash Points: 3,295 (?) This is the number of points you get in The Zumiez Stash for purchasing this item. Stash points are redeemable for exclusive rewards only available to Zumiez Stash members. To redeem your points check out the rewards catalog on thestash.zumiez.com. 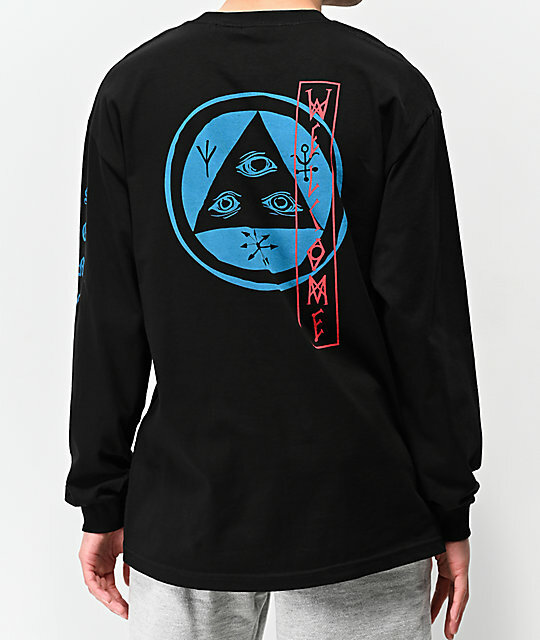 Show off your favorite skate brand with the Welcome Beckon Black Long Sleeve T-Shirt. 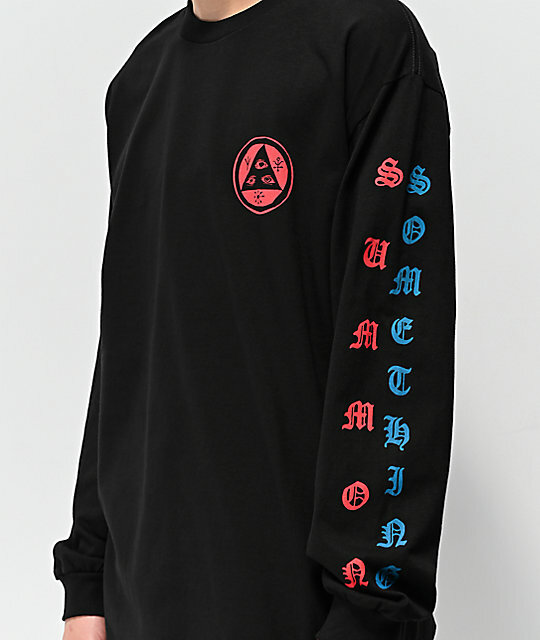 Featuring a classic Talisman logo screen-printed at the left chest, script down the left sleeve and a myriad of logos throughout the back, this long sleeve is need for any quality street wear wardrobe. 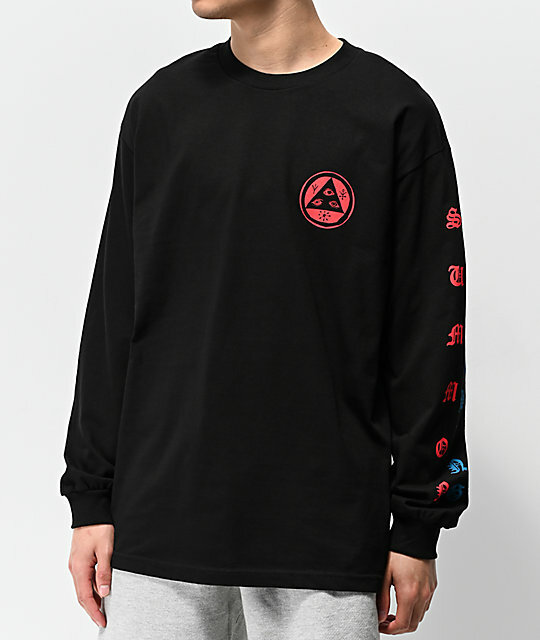 Beckon Black Long Sleeve T-Shirt from Welcome. Screen-printed Talisman logo graphic at the left chest, script down the left sleeve & additional logos throughout the back.